A very eye-catching flyer Template ! If you liked this style, enjoy downloading this Photoshop Template “Disco Flyer Psd “, a first-rate design by Creative Flyers perfect to promote your Disco Party ! 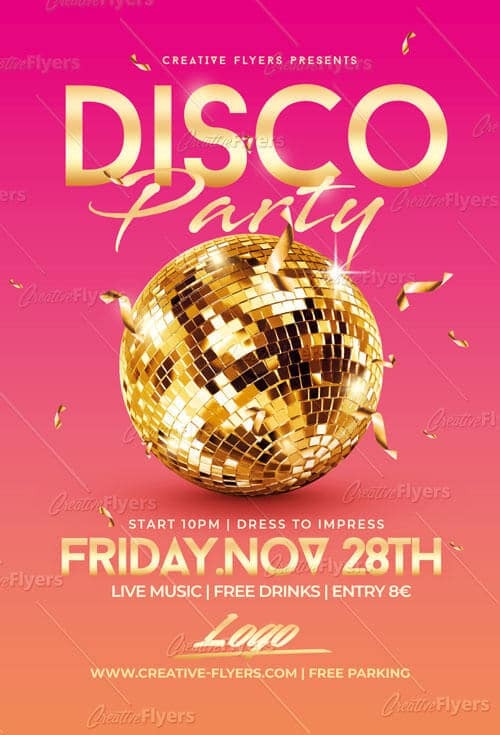 INFORMATIONS: Once you have purchased this Disco Flyer Psd template, you are free to make any customizations and modifications you’d like, to make a clearly difference ! Moreover, this flyer template is a creative design for beginner or professional designers to promote their event communication services.